In this post we are discussing the purchase of a home in Snellville Ga that we were able to help a seller get rid of. Now, there was nothing wrong with this house except for a little paint, carpet and TLC which is very common. But the seller really needed to sell this property in order to move on and get debt relief from the mortgage payments. She had this house with a payment, and her new house she was living in has a payment as well, so the sooner the better. The property was vacant, and she received our postcard that we were interested in buying her house there. After trying to sell it through an agent, the listing expired and she wasn’t able to sell it. This happens often with homes that need a little repair work such as carpet and painting, light fixtures, landscaping, etc. Simply because a buyer looking for a place to live doesn’t typically want to walk into a project, they want the house finished and updated. Especially in this market and financing environment that we are in today. Financed buyers who can actually qualify are very picky about what they make an offer on and it is usually the most updated ones in the area that get the most attention. The other ones, well not so much. Those are the ones we like, because we can offer a win/win solution for the home seller and pay them a fair price when they think the house won’t ever sell. Some people just don’t have the funds to repair the home to current market conditions. We visited the house and walked around with the seller to get an idea of what it would need. After doing so, we made her and offer and she was delighted that we could buy her property so quickly. We signed the papers on the spot with the seller, which were subject to approval for a couple of things that we needed to confirm, and then we sent the agreement over to the closing attorney to get the closing scheduled. She had the home sold in less than 10 days, and we were happy we could help her move on from the situation that had been building for months and months. She needed to sell her house fast in Snellville, and we were ready to buy it for a fair price quickly and take care of the repairs. 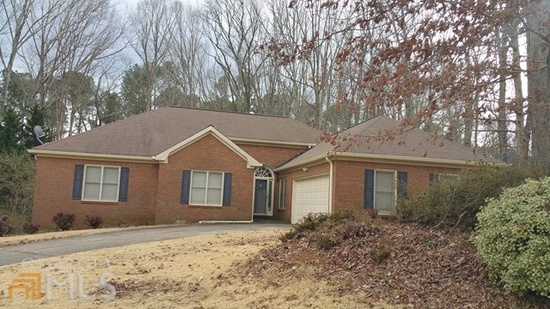 Shortly thereafter we were able to put a Lease Purchase buyer in the property that we had in our database that was looking to buy in Snellville Ga. So it worked out perfectly, and we love to help sellers move on with their lives when they think a property is doomed to never sell, and also be able to help buyers buy homes that they never believed they could purchase otherwise. We are currently helping this buyer obtain financing in order to purchase from us.